There are over 20 different automotive discussion forums in the iATN members only area, with 2.3 million messages and roughly 500 posts daily. You may discuss all manner of automotive topics with other automotive professionals in a threaded discussion format as shown in the screen below. The automotive discussion that takes place ranges from very technical in nature to repair shop management, automotive industry issues, and everything in between. 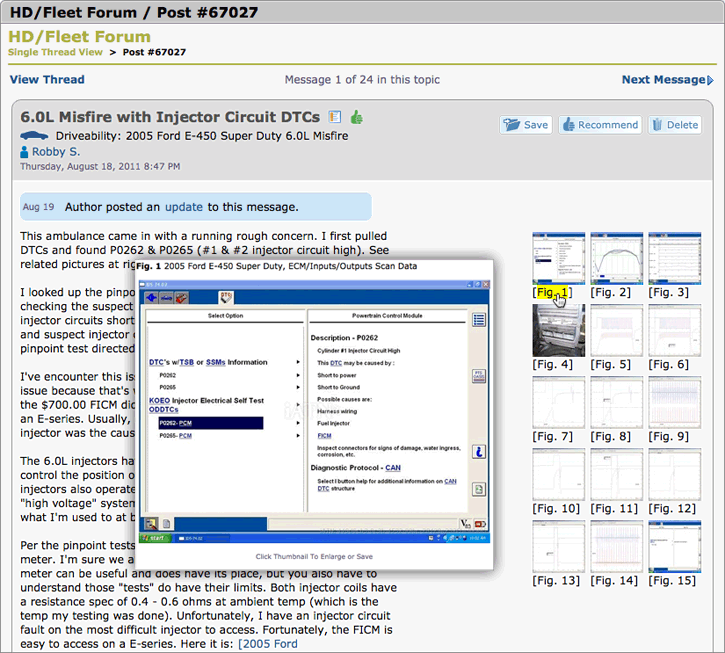 Members upload waveforms, scan data, photos, videos and other documents and discuss them directly in forums. Below, your can see a sampling of the latest topics being discussed on iATN.